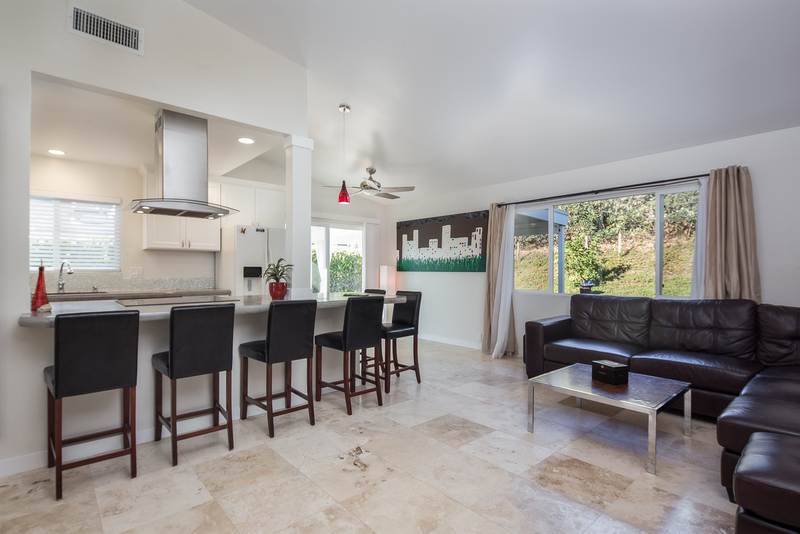 Enjoy the laid back Carpinteria Beach lifestyle at its finest in this chic 3-bedroom, 2- bathroom home. With a light and bright interior, and clean contemporary lines, this home has recently undergone an extensive renovation blending a modern aesthetic design with all of the latest amenities. The vaulted ceiling great room showcases the new kitchen with white shaker style cabinets, concrete counters with wraparound bar seating for six, decorative glass subway tile backsplash and new appliances. Travertine floors flow seamlessly throughout the house for easy care and maintenance and a classic look. Both bathrooms have been extensively remodeled including enlarged showers with custom tile. Numerous other updates to the interior cosmetics and systems include: new water heater with recirculation system, new interior doors, new baseboards and molding, scraped ceilings, new interior paint, new fixtures, new Baldwin hardware, dual paned windows throughout much of the home, new ceiling fans, recessed lighting and new light fixtures. The well-maintained exterior offers new exterior paint, replaced fascia, and a new roof. Enjoy the coastal climate year around in the newly landscaped and fenced front yard. Or do more extensive outdoor entertaining or al fresco dining in the backyard on the new covered brick patio surrounded by four fruit trees including orange, lemon, plum, and pomegranate. 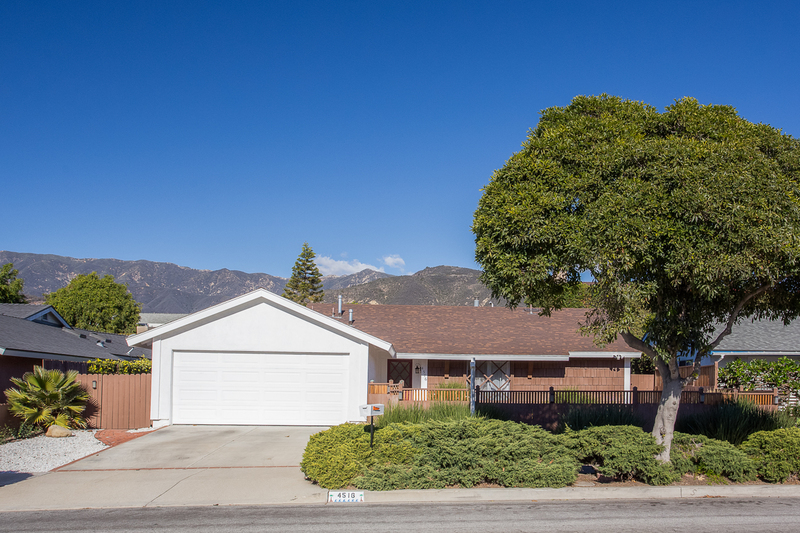 The home’s ultra-convenient location offers easy access to all of Carpinteria’s popular amenities. There are four nearby parks for kids or pets to play: Memorial Park (250 ft), Heath Ranch Park (700 ft), Franklin Park (.4 Miles), and El Carro Park (1 mile). The heart of downtown is also less than a mile away where you can enjoy Carpinteria’s boutique shops and great restaurants. Renowned for being the “world’s safest beach,” Carpinteria State Beach is just a short distance away (1.2 miles). 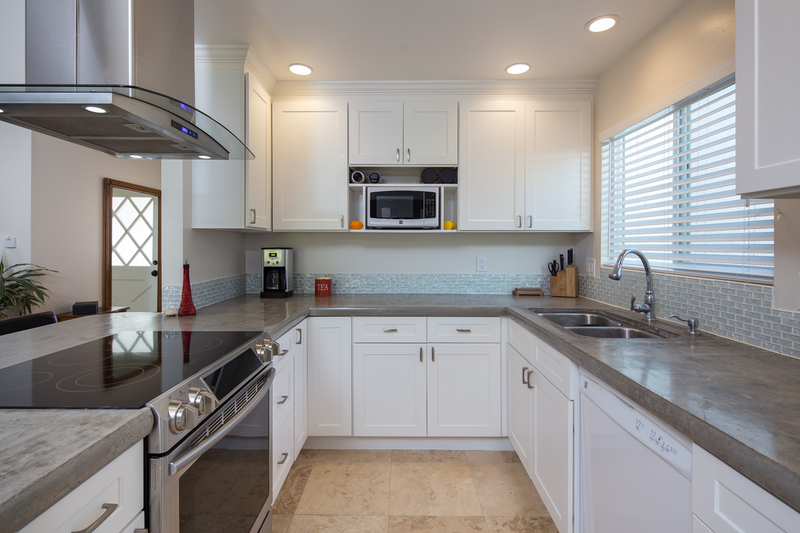 With the perfect blend of modern convenience and remodeled finishes, this great home presents an exciting opportunity to purchase a “hassle free” slice of that Carpinteria Vacation lifestyle!